Yes, You heard right. Buy Luxury Organic Products from Anna Sova and Get 25% off on all products. Hurry Up… Use Code: lux81718. Shop Organic Cotton Sheets and Luxury Designer Organic Bedding Collections at Anna Sova. 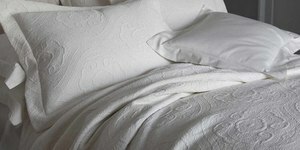 Naturally Soft and 100% Cotton, our eco-friendly Organic Bedding Collections are good for you and for the earth.